The Mom’s Time Out Summer Festival is now only two days away. Are you planning to come out? Are you bringing some friends? We need your help spreading the word about the event. The Mom's Time Out Summer Festival on June 4th is sure to be fun for the whole family. It’s a great reason to get out and shop with local and mom-run businesses. To encourage you to help us spread the word, we have some fun prizes you can win! Today's prize is your choice of two weeks of taekwondo lessons and a uniform for preschool (ages 4-5), junior (ages 6-11), OR adult (ages 12+); valued at $127; from Tallahassee Taekwondo!!! 3. Share the event with your friends- by email, Facebook status, Twitter, your blog, or somewhere else with lots of visibility. 4. Come back here and tell us you have liked, RSVP'd, and shared! Need ideas on how to share? 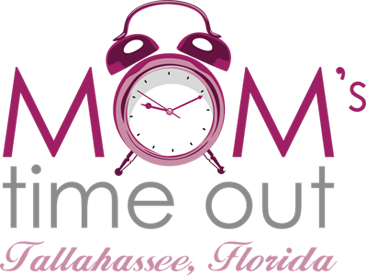 You can say "I'm going to the Mom's Time Out Summer Festival on June 4th to shop with great local and mom-run businesses. Want to meet me there?" Or "I went to the last Mom's Time Out event and met so many great local and mom-run businesses. The next event is this Saturday, will you meet me there?" You can even just tag the event page! A new prize will be posted for for the next four days. The winner and a new prize will be announced each morning. You can enter each day by following the simple directions. Winner will be chosen by random number drawing. Come on out this Saturday and meet Lauren, Brad, and the other 40+ vendors!